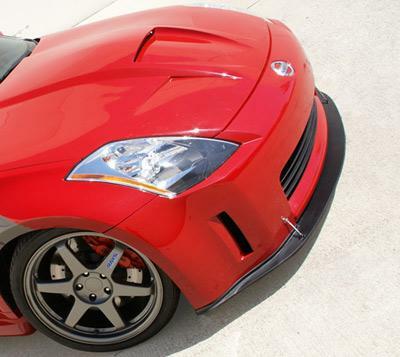 STILLEN Front Splitters - Dezod Motorsports Inc - Home of the automotive performance enthusiast since 2002. STILLEN Splitters are made from our durable and resilient urethane. They provide an easy way to increase down-force on the front wheels and improve the appearance of your vehicle. Great looking and functional, stainless steel turnbuckles are included with every splitter to provide stability and support.